How climatologists use ice cores, cylindrical cones of ice drilled from glaciers, to reveal Earth's historical cycles of climate change. The Earth has natural, long cycles of climate. The climate on Earth can also change significantly within decades. 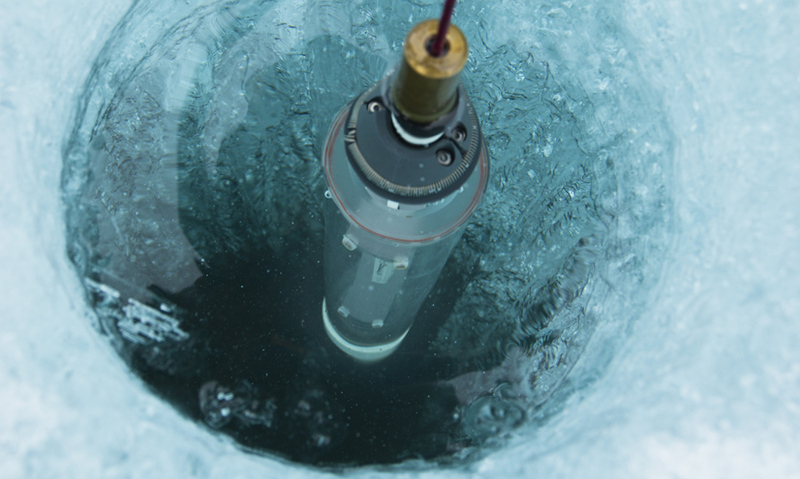 Ice cores taken from Greenland's glaciers provide information about past climate changes. Ice cores have distinct layers, the chemical make-up of which represent different periods in time. The Earth has natural, long cycles of climate lasting hundreds of thousands of years. But it also has short and dramatic shifts where the climate can change significantly within a decade. We know this, because the glaciers here in Greenland give us an accurate weather report stretching back to the stone age.